Stunning plantation shutters Colwyn Bay, by Just Shutters. Just Shutters North Wales are your local premier shutter company. Run by husband and wife team Ken and Angela, we provide stunning interior shutters in Colwyn Bay and the surrounding areas. Call us on 01492 555595. Shutters have become the window covering of choice with interior designers and discerning homeowners alike! And with the myriad of benefits it is clear to see why; not only do they look great, they add value, energy efficiency, privacy and security to your home. What’s more, with Just Shutters you can be assured of the very best products. Additionally you will receive our market-leading lifetime guarantee. Furthermore, we combine this with the passion and personal service of a local, family run business. Aside from the obvious; the stunning good looks – Browse our photo galleries to find out for yourself! Shutters are more than just a design statement! The added benefits of shutters make them a perfect product you will simply love in your home. Shutters are extremely practical, low maintenance and the perfect solution for any window or door. Additionally, shutters are perfect for shapes that traditional curtains or blinds simply could not cover! No longer do bay windows need to be obscured by cumbersome fabrics – and you can say goodbye to nets!! 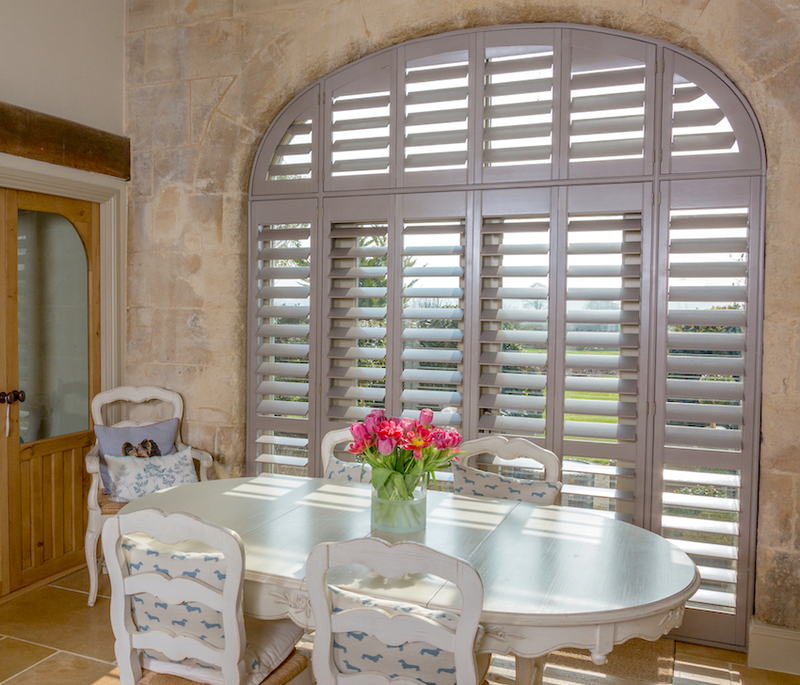 For beauty and practicality that lasts and lasts, you can’t get better than shutters! Don’t just take our word for it – click here to read the top 10 reasons for choosing shutters, as voted for by our satisfied customers. Not all shutters are made equal! Quite the contrary. From our expert consultation and design, right through our outstanding products, and equally in our expert fitting service, we go the extra mile. We have an eye for detail in everything we do. Everyone at Just Shutters is an expert in their field. Because as a company we specialise in plantation shutters, they are not an add on to other products, they our speciality and passion. As a result, every window we design and every shutter we fit is a long term investment in your home, and our long term investment in our business and reputation. Our local team are experts in shutters Colwyn Bay, they would be delighted to speak to you in person on 01492 555595 and answer any questions you may have. Alternatively please follow the links below and enjoy seeing what we can do for your home. While we love blowing our own trumpet we would far rather you hear it from our customers. So here are just some of the 1800+ reviews on Checkatrade.